Traditionally constructed from copper, but can also be made from stainless steel. Pot stills can be manufactured in a range of shapes and sizes depending on the required quantity and style of spirit being produced. 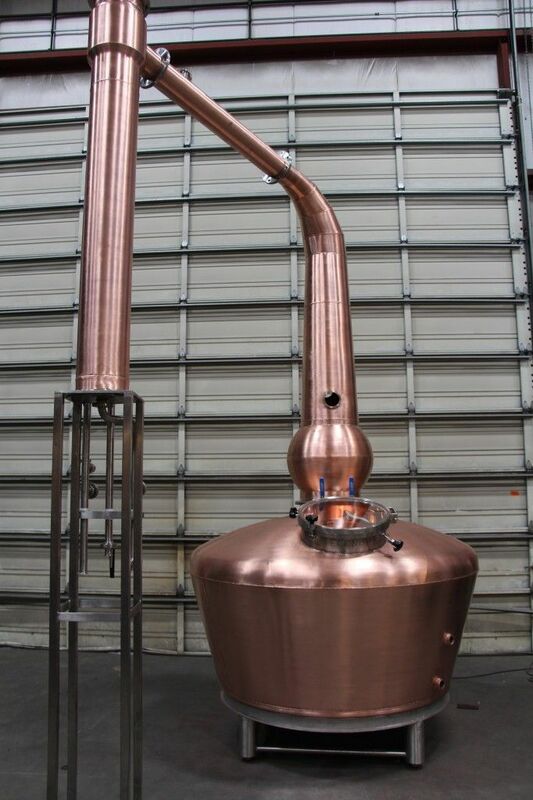 With pot distillation, you place your beer or wine into a copper pot. You then place the cap on the pot and seal it before beginning to increase the temperature of the pot. As the liquid heats up, the alcohol in the liquid boils first as alcohol boils at a lower temperature than water. The alcohol then becomes vapour and these alcoholic vapours begin to rise up into the top of the still before being pulled into one of the stills arms before entering a coil. The coil is dipped into cold water, which compacts the alcohol back into liquid form. The newly reformed liquid alcohol then leaves the coil and moves into a collection vessel.